Almost a year ago we (Allie, Jess and Sarah) launched the new One Handed Cooks Website and Facebook page. We put everything into the recipes and posts we write and never tire hearing all about how your kids (and husbands) demolish the food you cook. We read every tweet, comment, message and we hear you. We heard you when you said you wanted our recipes in print, so we thought… why not? 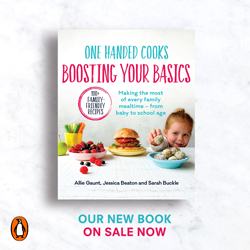 One Handed Cooks blog becomes a magazine, inspiring busy parents to cook beautifully simple, healthy food for their children. 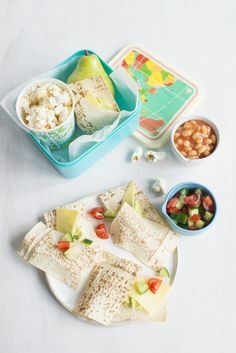 An Australian food blog catering for time-poor parents is reversing the current media trend by being the first blog to launch a national magazine, inspiring people to cook beautifully simple and healthy food for their children. 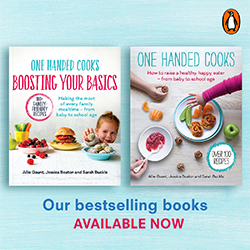 One Handed Cooks is an evidence-based magazine, packed-full of nutritious family-friendly recipes so easy you can achieve brilliant results while juggling a baby on your hip and a two year old clinging to your leg. The magazine will be available at Coles Supermarket and in all good Newsagents – see the Newsagent stockists here. 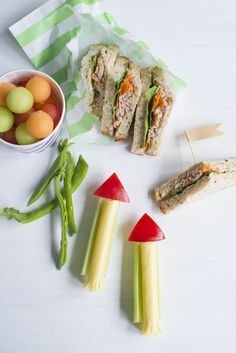 The launch will give parents recipes and lifestyle choices that are proven to have beneficial results in their child’s development and wellbeing; whether they are a baby, toddler or primary school aged. While online recipes are great and we will continue our popular blog, when it comes to cooking in a messy kitchen, you can’t beat a magazine. Especially when helpful little hands are at play. We believe that good nutrition is essential in the early years of children’s development. With the busy lives we all lead it can be too easy to go down the packaged food route with our children. Taking a few extra minutes to prepare and cook your own food has countless benefits for your children. We thank you for all your support so far and can’t wait to hear what you think of the new mag. Can we buy a subscription? Oh yes, definitely interested in a subscription too! Yes Id like a subscription too! Well done. I keep running to the computer to follow the recipes. Now I can splatter the magazine right next to the food ! Brilliant site which I use daily, therefore I’m very interested in a magazine subscription if they are available? Congratulations ladies, what a phenomenal step forward to assisting mums all over the country give their little ones a better start to life! Please ask Coles in Berowra Heights to stock your magazine? I’ve been looking for it every time I go but there is nothing! You can now buy online if all else fails – follow the link at the top of the post. We would like to stock your magazine in our news agency . Could you please let me know how we can order some? Who is your distributor? Hi. Is your magazine available online? Alternatively, if I buy a subscription, would you post it to Seoul, South Korea?